It is strange to not refer to Eric Schmidt as "Google's Eric Schmidt" anymore, but the major reorganization to Alphabet has Schmidt as the chairman of the new holding company, and Schmidt talked about Alphabet a little bit recently. The main takeaway is that we need to brace ourselves for "a lot" of companies to be added to Alphabet, likely more than just 26. Speaking at the Virtuous Circle conference in Menlo Park, Calif., Schmidt said that the switch to Alphabet was so fast that even those at the top are "still working out the details." But, Schmidt said there will be "a lot" of companies added to the roster, and after all 26 letters are used, Schmidt joked that they would probably start using transcendental numbers, like pi. Of course, Alphabet is already doubling up on letters with both Calico and Capital as subsidiaries. The mobile plans are mostly still under the main Google company with Android, ATAP, and Project Fi all still a part of Google, but Google Glass and Auto are under Google X. It should be interesting to see what other companies are on the way. There's already more than one company per letter in some of the letters. 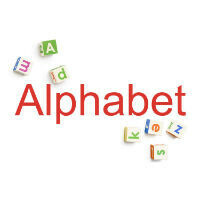 Alphabet doesn't 26 companies, but a conglomerate of companies.